Coventry Rugby Head Coach Nick Walshe is confident the side can impress this season in the Greene King IPA Championship. 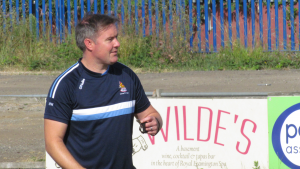 With 14 new additions and expectations building around Coventry’s campaign, the former Gloucester backs and attack coach is aiming for the side to win as many games possible this season. He said: “We want to be competitive, we are not here to make up the numbers next season so I’m not going to predict where we will finish but I’m expecting us to go well and that is what we are preparing for. “I hope there is anticipation and excitement, but we are going to do absolutely everything we can to finish as high as we can. “I don’t do thing by being a gallant loser, I don’t want us to become gallant losers I want to win games and that’s what we are all here for, we want to win as many games as possible. The 43-year-old believes the side are preparing well during pre-season despite training under the heat at Butts Park Arena. He said: “They are all training really well and really hard. We have put a lot of detail in straight away from day one and we had to because we gave them more time off. “They are really enjoying it and they are working hard. It’s the same for all teams around the country at the moment, they are all training in the heat and the hard ground, so it will be tough, but we just have to get on with it. Walshe admits the side are under “no illusions” that the division won’t be an easy transition for the club but admits the side are preparing themselves well in pre-season. “It’s going to be tough, we know that. We are under no illusions, just because we won National One pretty easily last year it’s a big step up,” said Walshe. 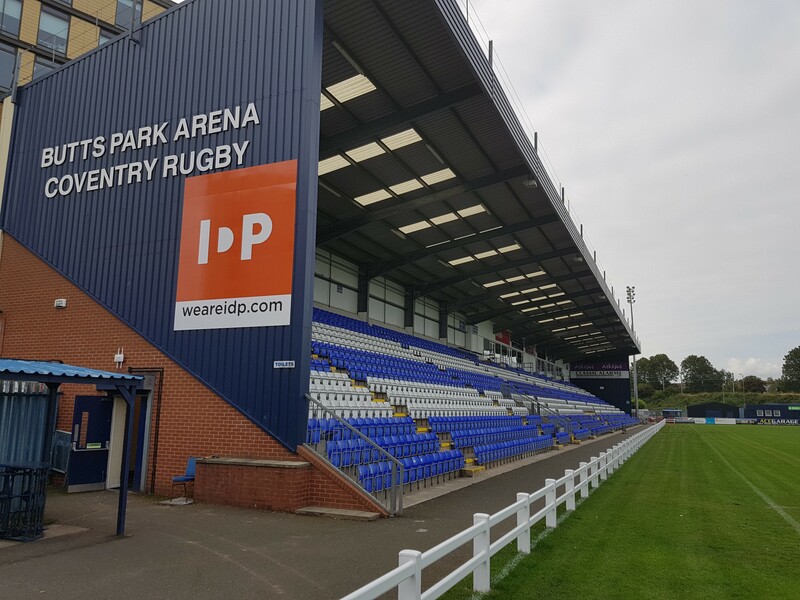 The Blue and Whites pre-season schedule has been underway at Butts Park Arena and despite the heatwave, Walshe believes it hasn’t affected the side. He said: “The boys are working very hard and it is tough, very tough but everyone knows what pre-season is, we have to get the work in we have to get the yards in the legs. Despite the challenges that lay ahead of the historic midlands club, Walshe is looking forward to the pre-season schedule but reiterates how big the Jersey game will be. He added: “We have a couple of weeks left before we play our first game, so it’s come around quickly, but we wanted that, we didn’t want pre-season to drag on. “We wanted to be intense with everything that we did but look we have some tough games in pre-season. “Bishop’s Stortford, they went really well last year, and Moseley are big competitors of ours who are keen to show that they are improving and then the big ones Leinster and then the even bigger one with Wasps when we play them here. “We will be well prepared for Jersey in our first game. We have just got to try and make sure we perform well in those games and the biggest thing is that we perform well against Jersey.